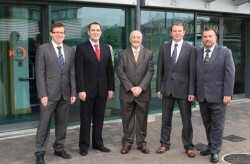 A part of the celebration was the re-branding of the KH Group. For the last decade the business has provided design, Rail Interface Planning and civils attendance as well, of course, as electrical services in the Rail sector. 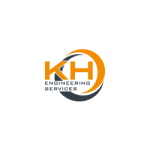 In the future KH Engineering Services Ltd., will spearhead the group to offer the combined services. The rail industry including LUL and DLR continues to evolve and demand ever increasing standards of performance. 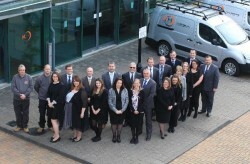 External accreditations such as ISO9001, 14001, SAFE Contractor, RISQS and NICEIC serve to underline the focus on acceptable service delivery. Indeed the exceedingly high service provided to our clients is demonstrated by KHES retention of the reactive maintenance and installation service to Southern Railways for the last fifteen years. Going forward KHES have secured contracts with NWR, TOC’s and LUL for the prosperous CP5.